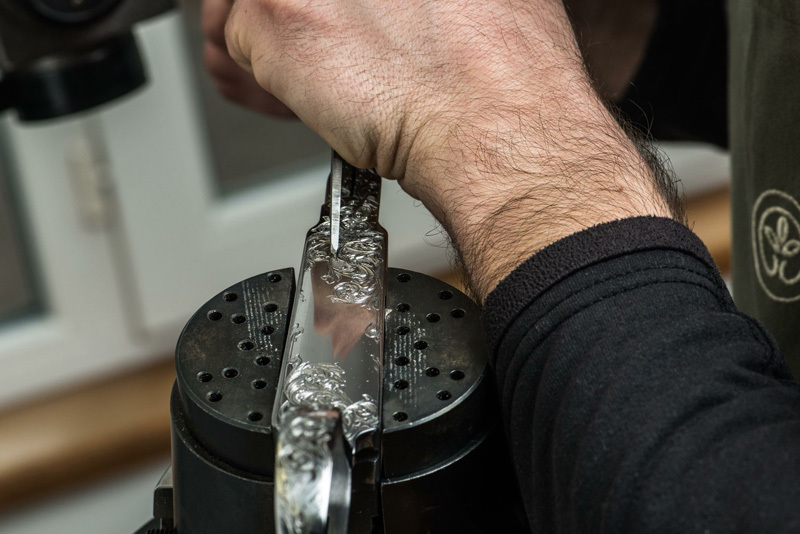 Frederic Krill performs the art of engraving on metals in his studio from Curel, Haute Marne department. 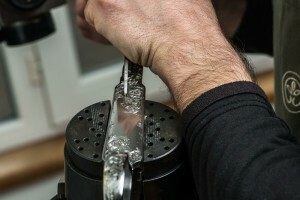 Each object he creates in his studio is handmade in accordance with the art rules. If you are passionate about beauty and excellence, you may ask Frederic for any reproduction of an original or, even better, new works by using his talent to the greatest extent. Turning guns into works of art. 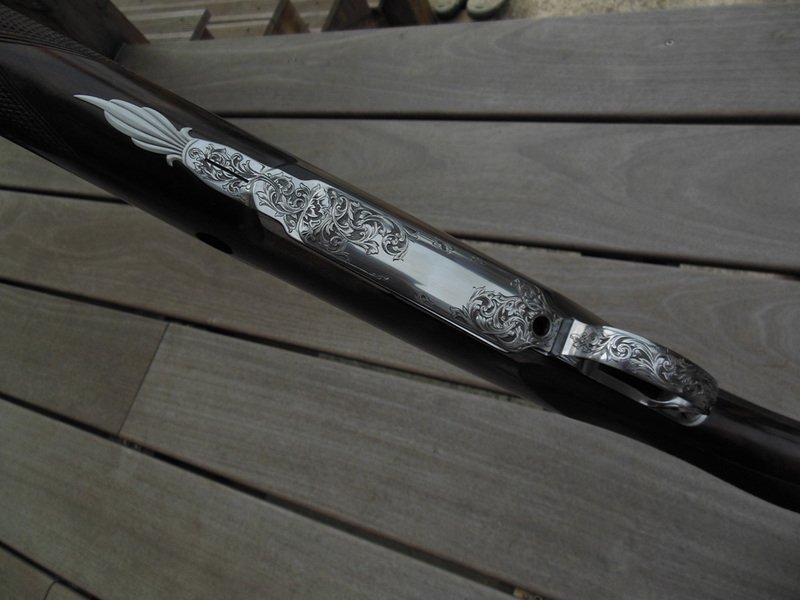 Inspired by the ancient American firearms, Frederic Krill seeks to perform a light engraving in perfect harmony with gun’s particularities. 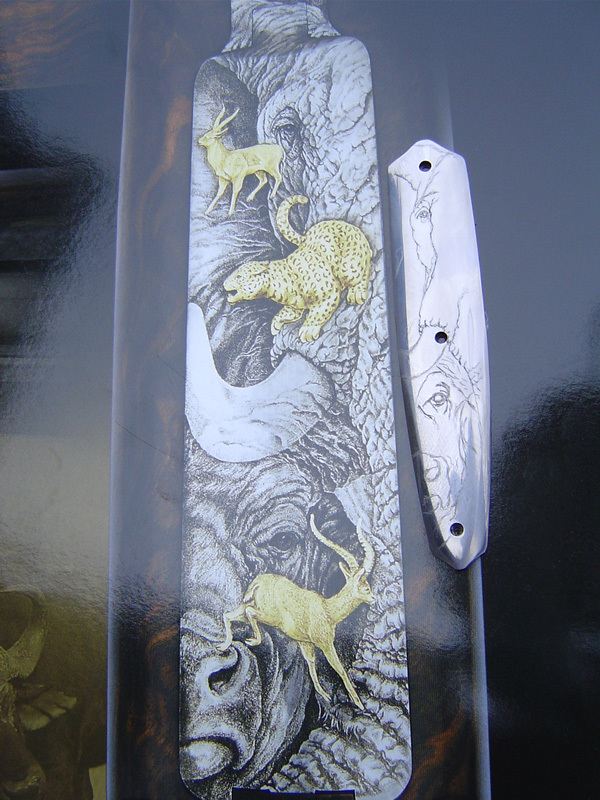 Designed for African hunting, this Italian style engraving seeks to illustrate large wild animals. 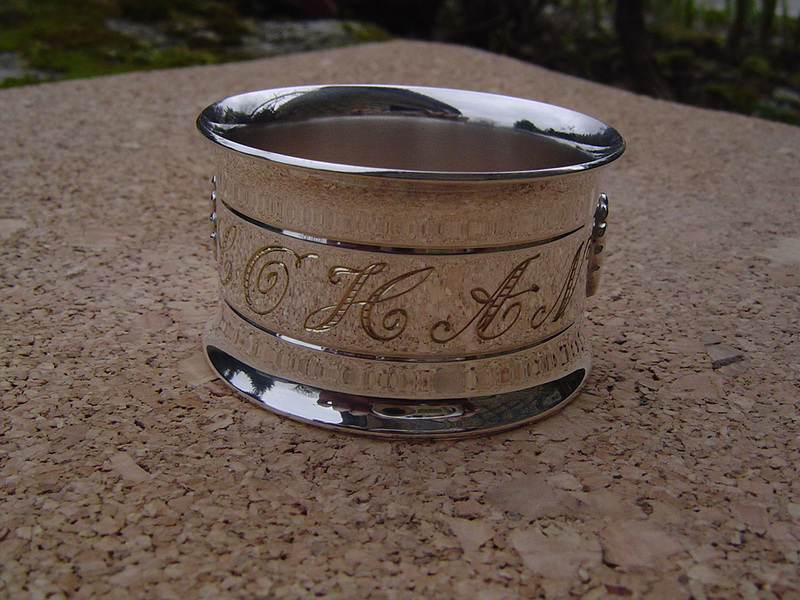 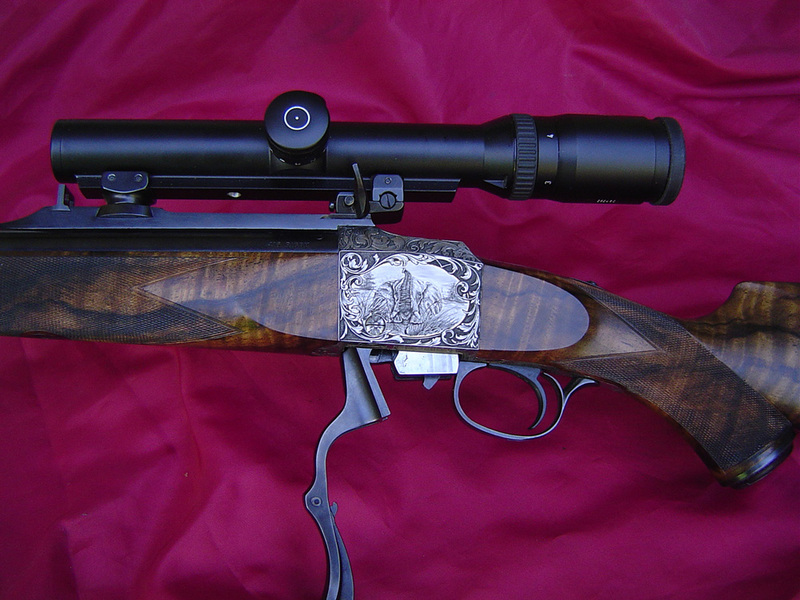 The gun owner requested a personalized engraving discretely integrating his initials into the design. The acanthus leaves are the core of this floral pattern which has been inspired by the Oriental architecture ornaments. These leaves were engraved at 0.6 mm in order to give depth and relief to the finished work. 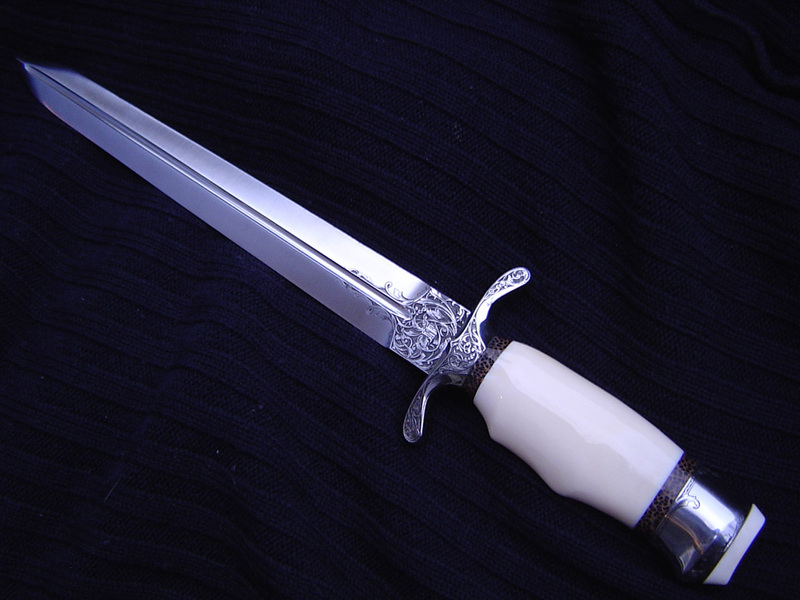 Frederic Krill was inspired by one of Peter Hoffer’s engraving works in the making of this ivory handled knife. 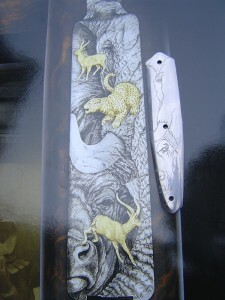 This limited surface has been utilised in the best possible way to illustrate the elephant and the buffalo figures. 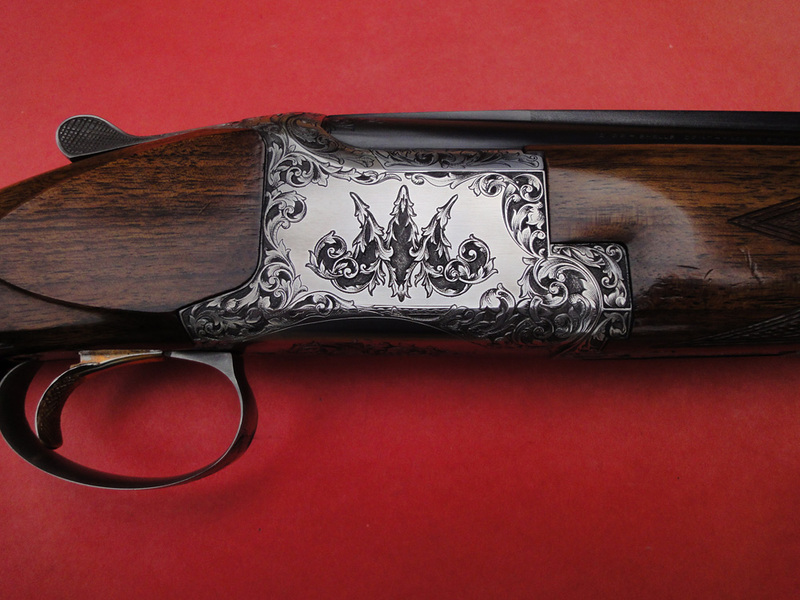 Frederic Krill used an interlacing pattern to illustrate this wild boar hunting. 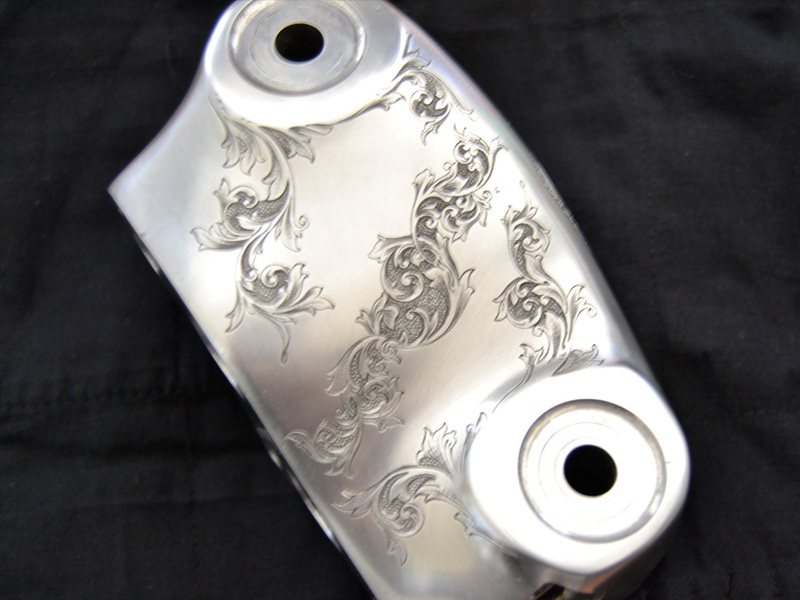 This upward-directed pattern is aimed at adding more lightness to the engraving. 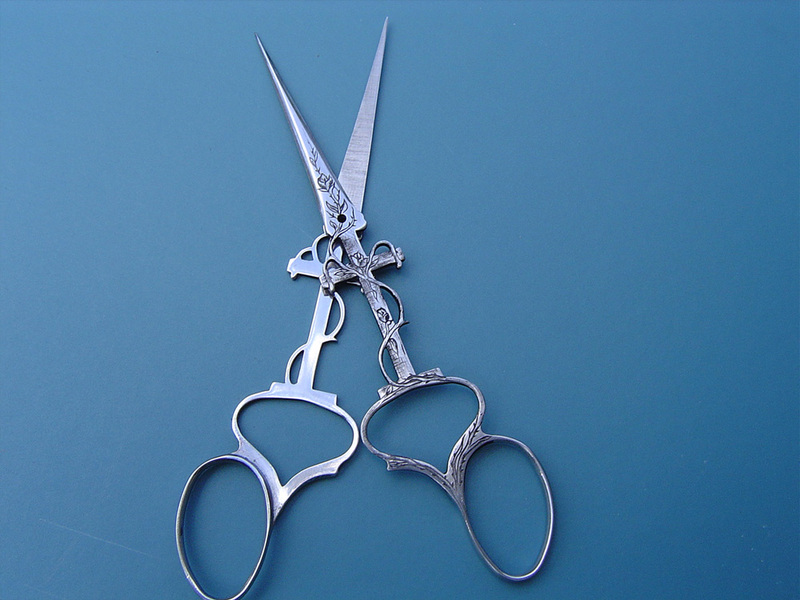 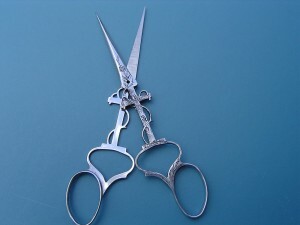 Transforming everyday objects into unique and unusual pieces. 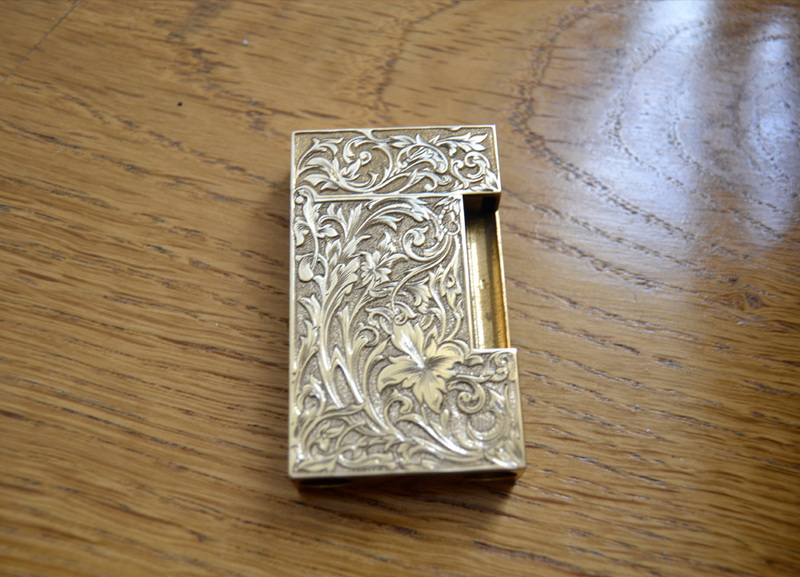 On the occasion of “Annual Cigar & Pipe Convention and International Trade Show” in Orlando in 2012 Frederic Krill performed an Italian style engraving on a S.T.Dupont lighter. 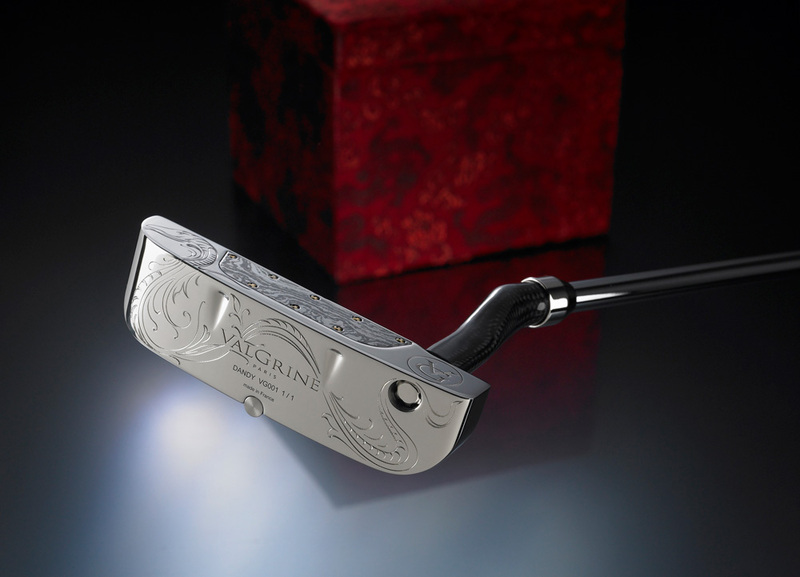 To celebrate the “Year of the Snake”, the Vagrine company requested a figurative engraving on a putter which turned into a stunning piece of art. 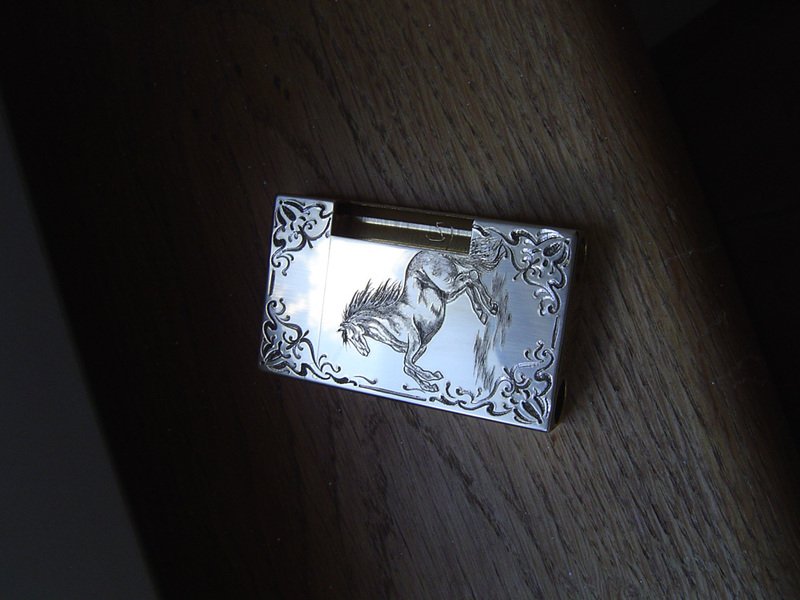 The engraving aim is to highlight the image of this horse. 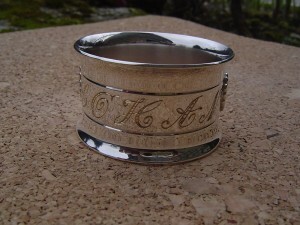 The main part of engraving is surrounded by few fine ornaments. 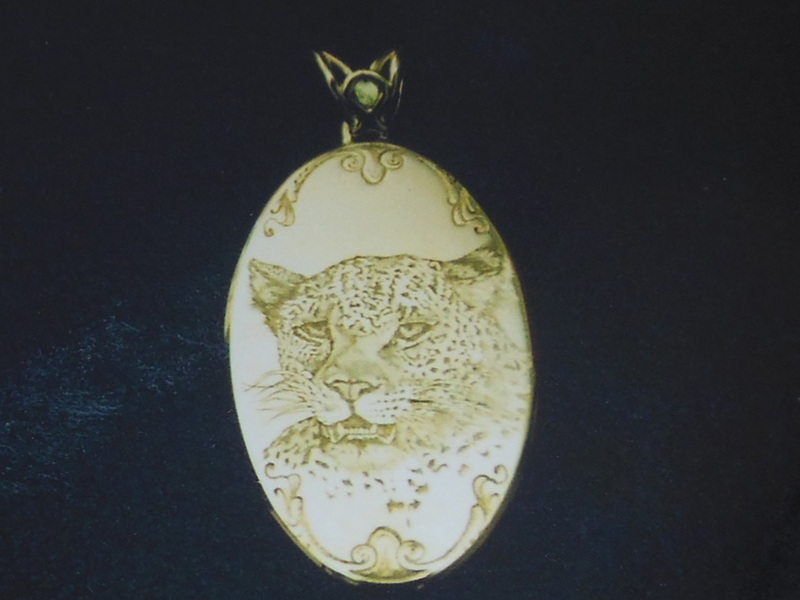 No, this is not the latest fashion pendant… Surprisingly, even a motorcycle cater once it has passed through Frederic Krill’s hands turns into an elegant object. 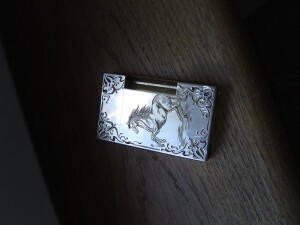 There are some objects that we would prefer to keep only for ourselves.